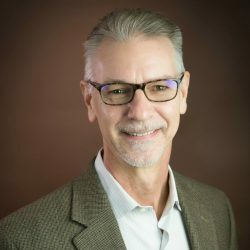 Todd Bartko has more than 23 years of experience in social science research and program administration. He brings to JBA his expertise in applied social science research, program evaluation, and advanced longitudinal data analytics. He has extensive knowledge and experience in the areas of mental health/psychosocial functioning of children, youth, and families; health services research; risk and resilience research; positive youth development; stress and coping models; and changes in family relationships. Bartko is currently working on an evaluation for the Improving Programs, Policies, and Services to Promote Healthy Development in Middle Childhood in Afterschool Settings project. He recently completed work on three projects, the Survey to Assess Section 508 Conformance with the U.S. Forest Service; the Permanency Innovations Initiative Evaluation; and the Implementation, Cost, and Outcome Evaluation of a Two-Generation Strategy. Prior to joining JBA, Bartko provided research and analytic services to academic and nonprofit clients. He is the former executive director of the MacArthur Foundation’s Research Network on Successful Pathways through Middle Childhood. He also worked as a researcher studying child and adolescent development at the University of Michigan. Bartko received a Ph.D. in human development and family studies from Pennsylvania State University.